The Indexing Special Interest Group, was coordinated by Christine Courtwright. They met the first Wednesday of the month at the Lake Minona Recreation Center. Their purpose was the indexing project of the 1940 U.S. Census. That project has been completed and the SIG no longer meets as a group. Members continue to work on other indexing projects, on heir own either, with Family Search, Ancestry.com or other organizations. Family Search.org is in need of indexers to continue indexing other types of documents. If documents don’t get processed, then we as a genealogy community will not be able to locate the information we absolutely need. Click here to learn more about indexing and other onging indexing projects. Our members indexed 169,524 names and arbitrated 68,096 records for the 1940 U.S.Census. Thanks to all our Indexing SIG members for a job well done. 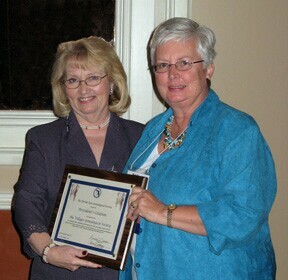 At the Florida State Genealogical Society Annual Conference, The VGS was presented the President's Citation for indexing the most records in the large Society category. The VGS was also noted as being 23rd in the country for all indexing groups.